Hyun-Jin Ryu, who threw seven shutout innings and gave up only three hits to lead the Dodgers to a Game 3 National League Championship Series win over the Cardinals, is Monday's Box-Toppers Player of the Day. The Dodgers won the game 3-0 and now trail the best-of-seven NLCS against the Cardinals two games to one. 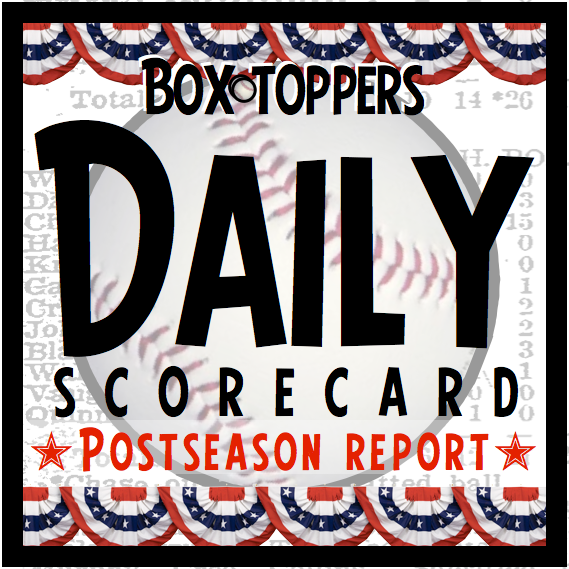 Ryu had 9.7 Box-Toppers points during the regular season, ranked 61st overall. In Game 1, Dodgers pitcher Zack Greinke started, but the Cardinals won 3-2 in 13 innings. Greinke, who picked up a no-decision in the game, had 19.4 Box-Toppers points for the season, ranked third overall. In Game 2, Dodgers pitcher Clayton Kershaw started, but the Cardinals won 1-0. Kershaw picked up the loss. Kershaw had 21.7 Box-Toppers points for the season, ranked first. In Game 3, Cardinals pitcher Adam Wainwright started, but the Dodgers won 3-0. Wainwright, who also picked up the loss, had 20.2 Box-Toppers points for the season, ranked second.